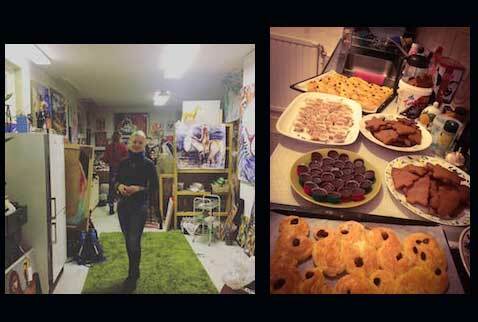 Open House on my studio in Kärrtorp, right now especially for art associations. I offer coffee, cakes, buns, sweets, coffee, tea or wine as desired. The studio is located in Kärrtorp at the address Huvudskärsvägen 38, entrance at the gable. You are warmly welcome! Yes, I was chosen for this week's contractor on Linkedin! Awesome! Feeling grateful! I will perform at the Funkadelic Studios in New York City Times Square 2019, with my Multimedia Show with art and music. You can read more about me as an artist and give a donation for my upcoming show i New York at my artist site AnnAK Queen. I participated in a group exhibition at the Art Mora Gallery in New York Chelsea in December 2016 and in New Jersey, 2017.